"Developing and Engaging Leaders to Achieve a Preferred Future." Join LEAD Brevard for Leadership After Hours at Wine on the Grove (Parrish Grove Inn) in Cocoa Village. and positive-thinking leaders in Brevard. Wine on the Grove is a comfortable wine bar within the historic setting of the Parrish Grove Inn (1890) located in the riverside community of Cocoa Village. $5 sangria special and complimentary light appetizers will be provided. An additional selection of light fare to complement their wines may be purchased. Craft beers are also available. At LEAD Brevard, we believe great leaders have the unique capacity to put the common good above self-interest. 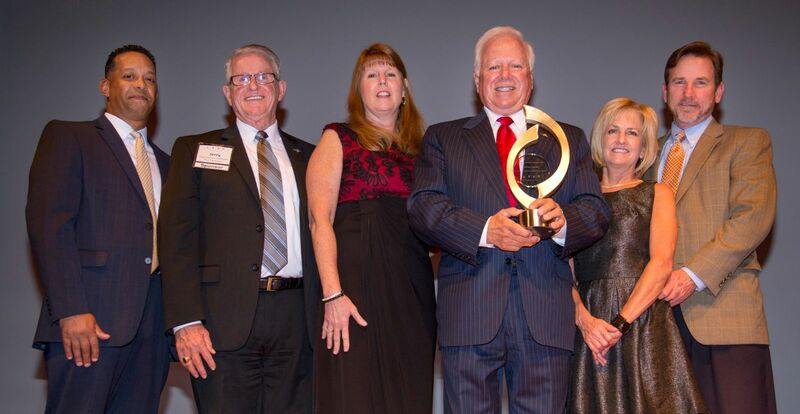 For 31 years, the Leadership Brevard program has inspired high-performance individuals to take their place as influential community leaders, by enabling them to think differently about themselves and their role in the community. Are you ready to be part of a select group of leaders who drive positive change in their organizations and in our community? The Leadership Brevard Class of 2016 met at International Palms Resort in Cocoa Beach on Thursday, February 18th for a "SIMSOC" Simulated Society Session. Thank you to Community Bank of the South for sponsoring this session day. Would you like your business or organization recognized in front of 60 community leaders? Then consider sponsoring a Leadership Brevard session day. As a session sponsor, your company's logo will be included on the Leadership Brevard session agenda and you will be given the opportunity to speak on your organization's behalf at the start of the program session. Please contact Kristin Bakke at Kristin@LEADBrevard.org or call 321-632-8222 for more details. If you would like to have enriching experiences like this Click Here to submit your online Leadership Brevard Class of 2017 Interest Form directly from the LEAD Brevard website. 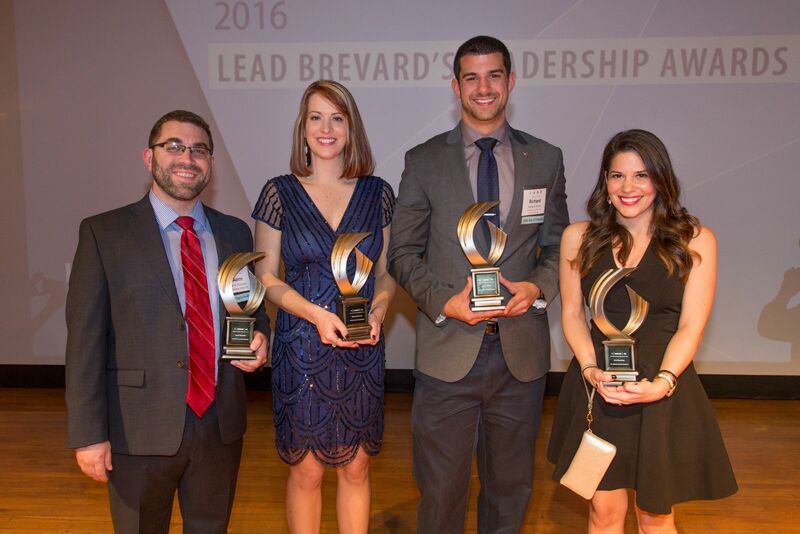 2016 marked the 12th anniversary of LEAD Brevard’s ‘4 Under 40′ Recognition. 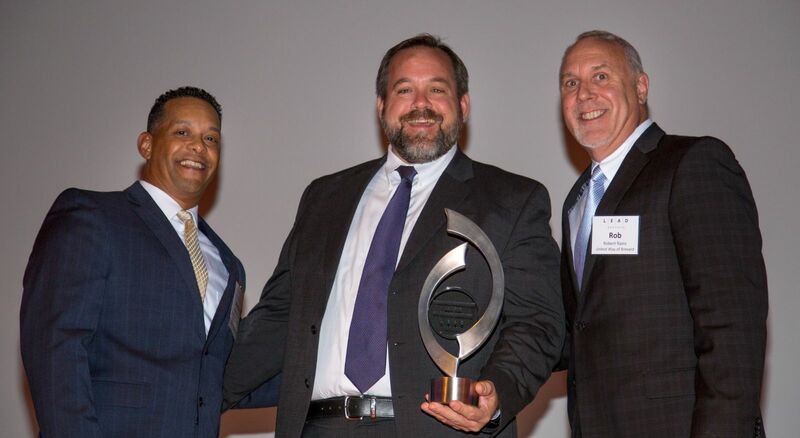 300 community leaders helped LEAD Brevard celebrate the 2016 Leadership Awards on February 12, 2016 at the Florida Institute of Technology, Gleason Auditorium. Mark Komine, business leader, strategist, and performance advisor shared his insights on driving an H2H culture in business and the community during his keynote presentation. Congratulations to the 2016 Leadership Award and '4 Under 40' recipients. LEAD Brevard has exciting opportunities & special events planned for 2015-2016 – You’ll want to be informed and invited to attend! If you have moved, had a career change, changed your email, your name, etc. please take a minute NOW to update your contact information. Your email is how we notify you about the news you care about. Please help us make sure you are included. Are you a Leadership Brevard Alumni? We place special emphasis on making sure program graduates are offered a variety of avenues to stay informed and connected with fellow alumni. 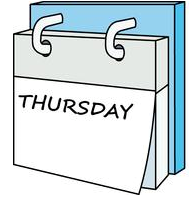 Stay in touch with the LEAD Brevard Community! A COPY OF THE OFFICIAL REGISTRATION AND FINANCIAL INFORMATION FOR LEAD BREVARD, A FLORIDA-BASED NONPROFIT CORPORATION (REGISTRATION NO. CH 14230), MAY BE OBTAINED FROM THE DIVISION OF CONSUMER SERVICES BY CALLING TOLL-FREE 1-800-435-7352 WITHIN THE STATE OR BY VISITING www.800helpfla.com. REGISTRATION DOES NOT IMPLY ENDORSEMENT, APPROVAL, OR RECOMMENDATION BY THE STATE. This email was sent to kristenk@leadbrevard.org. To ensure that you continue receiving our emails, please add our email to your address book or safe list. Powered By Z2 Systems, Inc.